#KITKATBreakMovement Movie Screening: Guardians of the Galaxy | To Be, To Be. Tutubi. Last night, my friend Ehms and I went to Glorietta to claim her tickets for the screening of the Guardians of the Galaxy which she won from the #KitKatBreakMovement contest. She also won the other contest that night but we were just supposed to watch at Greenbelt. Unfortunately, after the registration and while waiting for the food and the movie, her husband called to say that he didn't have to stay for overtime and so she left me to go to Shangri-La to meet him. Anyway, her loss was my gain, hahahaha! The movie was great. It was funny and hilarious! I enjoyed it immensely and I was laughing the whole time. But the best part of the program was after the movie screening. They gave out the loot bags including the personalized shirt for Ehms (her real name's Merdinein, a mouthful, I know, hehehe) and the pack for the plus 1. Yehey! Love KitKat! But the better part of the best part was when my ticket was called for having won at the electronic raffle. 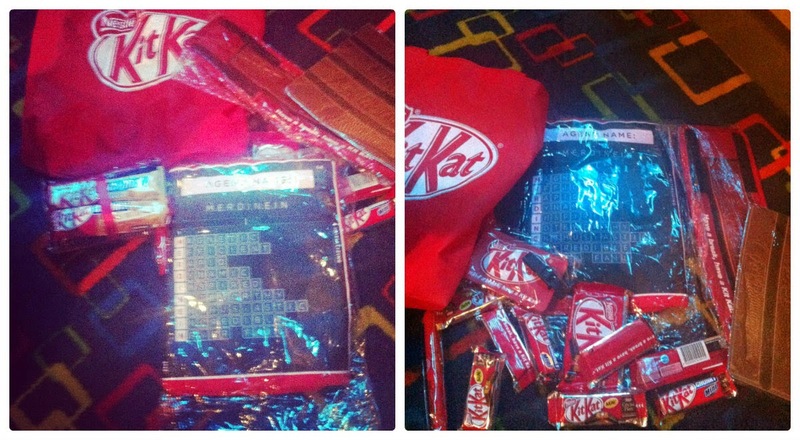 And I won a KitKat trolley bag! I love it to bits the moment I saw it and I immediately think of our trip to Singapore and Malaysia early next year where I can use it! I wanted to jump up and down, but I just made do with taking pictures and smiling widely. Did I say how I love it!!! 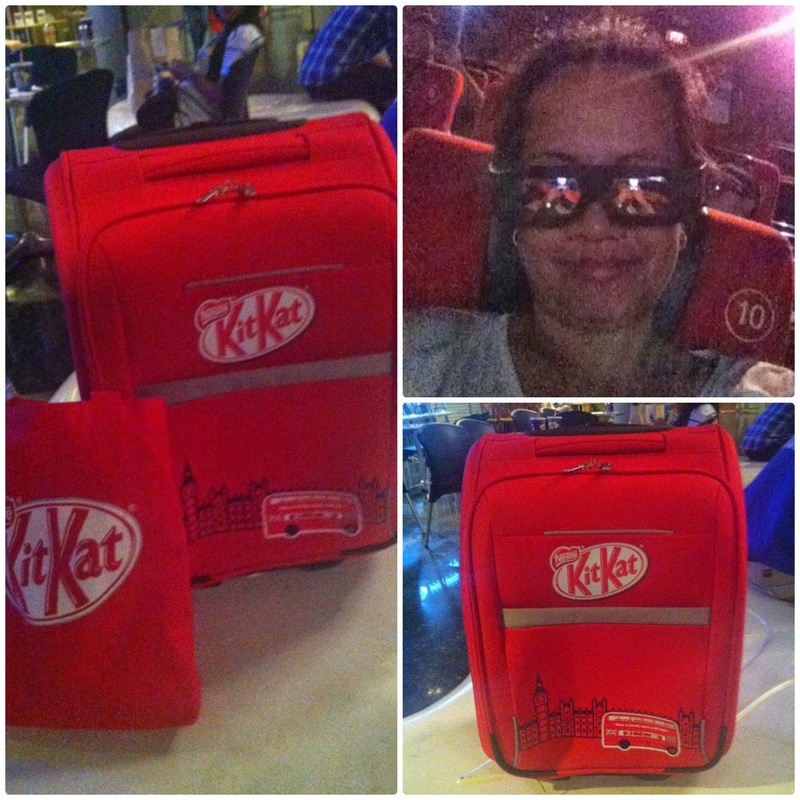 So I would like to thank Ehms, Nuffnang and KitKat for the wonderful movie experience, the great food from NYFD and the my super-duper cute trolley bag! I had so much fun!